Young people are increasingly self-harming and feeling suicidal because they are too “coddled” at school, a senior cleric has warned. 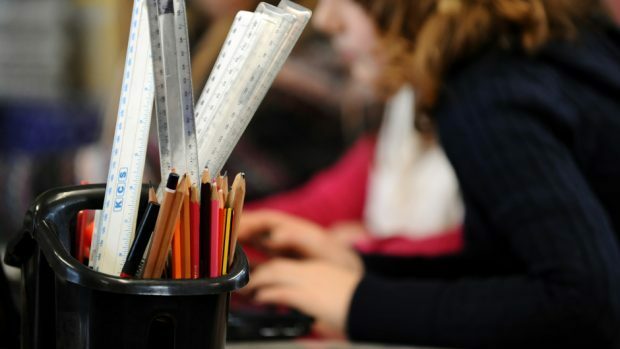 Church of Scotland Moderator, the Right Reverend Susan Brown, believes pupils are being let down by an education system which fails to prepare them for life’s disappointments. And she believes there is a direct link between so-called “failure deprivation” and recent statistics exposing the fragile mental state of the nation’s youth. As many as one in nine young adults in Scotland has attempted suicide, a shock report from Glasgow University revealed in May. The same large-scale academic study of 18 to 34-year-olds found one in six have self-harmed at some stage in their lives. Exploring her concerns in her new regular column for the P&J, the Rt Rev Brown said she remained “scarred” from being brutally told as a schoolgirl that there was “no way” she would go to university. But she believes the pendulum has now swung too far the other way and argues that a modern tendency to tell adolescents that anything is possible is “every bit as harmful”. “In fact, I think we are seeing the effect of the overly positive coddling of our young people in the sharp rise of anxiety, depression, self-harming and suicidal thoughts among them,” she writes. The moderator, who is a minister in Dornoch, also argues that more applause should be given to “those who have tried and failed, and then tried again.